Place1 is a premier Website Development and SEO Company based in India. We have established ourselves with the purpose of serving the web industry with the ultimate services relating to website development, SEO services, PHP development, website hosting, etc. Having an experience of more than a decade, we have been serving our clients by helping them enhancing their business through the power of internet. We possess excellence in delivering best quality services in almost all the departments of Web industry. Place1 services are appropriately checked on the testing parameters to make sure that our clients get only the best. Our achievements can be seen through our regular growing client list which is the result of our expertise in the field. We have mastered over all tools and technology which are coming up daily in the industry thereby ready to serve the gentry in any way we can. Along with the outstanding services, we also provide our valuable customers after sales support 24/7 over the year. Our expert technicians and designers are well proficient in handling any type of query related to web development, SEO Services, Internet Marketing, etc. We promise to deliver high quality outcome through our updated and beneficial services. 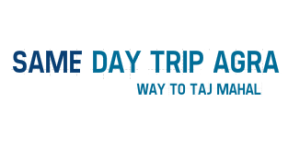 We design travel website that is for Agra Tour.Check out Check out www.tajmahalonedaytour.com. Place1 design travel website for SS Holiday Tour .Check out www.tajmahalagratrip.com. Place1 design travel website that is for The Imperial Tours.Check out Check out www.tajmahalagradaytour.com. Copyright © 2014 Place1 Technologies. All Rights Reserved.